It doesn’t happen often that a US Internet company enters the Chinese market with a huge budget, so when a company does this the Chinese media follow all the steps this company makes.The media know that most non-Chinese Internet companies eventually fail spectacularly, so a good story is almost guaranteed. Groupon seems to be doing its best to become part of the infamous group of companies like EBay, Google and Yahoo. In January stories surfaced saying that Groupon wanted to enter China by investing hundreds of millions of dollars, which is a good way of attracting press. Then rumours about a potential joint-venture with Tencent (one of China’s biggest Internet companies) were reported, and these turned out to be true. Many people including myself thought this would be a smart strategy to enter the market and gave them the benefit of the doubt. But things have changed a lot since. First came the news that Groupon China’s marketing director resigned even before the company got really started. A suspicious timing to leave a business in my opinion. Then came the Superbowl Groupon ad that was very politically insensitive, to say it mildly. Although the ad does not seem to have had direct repercussions, at least not ones that are visible to the public, I am sure Tencent was less than pleased. Yesterday another episode in the Groupon China saga was played out: their new Chinese site gaopeng.com came online and after a couple of hours was taken offline again. According to an article in the Chinese press the Tencent part of the join-venture took down the server because they did not agree to the foreign side’s decision to put the site online so quickly. Things seem to be getting out of hand fast, and there seems to be a stand-off between the foreign (mainly German) Groupon China managers and the ones appointed by Tencent. Groupon wants to move as fast as possible, but Tencent wants them to slow down. I guess they have different incentives: Groupon wants to get their Chinese operations up and running to justify a higher IPO valuation, but Tencent knows that in order to win in China being too fast may not be the best strategy. Throw in some culturally ignorant non-Chinese managers and you have a recipe for disaster. 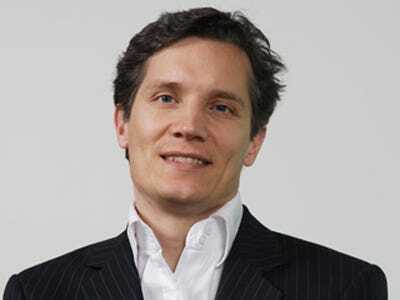 Oliver Samwer, who runs Groupons international operations from Berlin, is flying to Beijing today to talk to Tencent’s CEO about the latest problems. A bad sign that this is now already necessary. Like Sarah Lacey wrote on TechCrunch, Groupon needs Tencent a lot more than that Tencent needs Groupon. I hope Oliver Samwer realises this, and that he also knows that being to aggressive often leads to failure in China. Reading between the lines of the local Chinese press stories, I would not be surprised if Tencent doesn’t really want to work with Groupon but that their common investors (Naspers / DST) have been pushing this deal. If I were Groupon, I would seriously reconsider their current China market entry. If they want to enter fast they need Tencent, there is no way around it. But if they give themselves a bit more time there are other ways. They made the mistake of mainly hiring foreign managers and focusing in their recruitment drive on consultants and investment bankers with MBAs. That may work in the US, but that’s not what you need to be successful in China. You need to hire top local entrepreneurs and offer them the chance to help set up a new big business, with good salaries and even better option packages. They should also make the Groupon China operations independent from the rest of Groupon’s operations: if the China management needs to report to headquarters and has to follow global guidelines the company is doomed. This will take a couple of months to set up, but in the long term chances of success will be a lot higher. I hope Groupon can solve its problems and will do well in China. With the amount of money they want to spend they should be able to pull it off, but they will first need to clean up the mess they created.